Rule One. You must know the difference between an asset and a liability and buy assets. Poor and middle class acquire liabilities, but they think they are assets. An asset is something that puts money in my pocket. A liability is something that takes money out of my pocket. 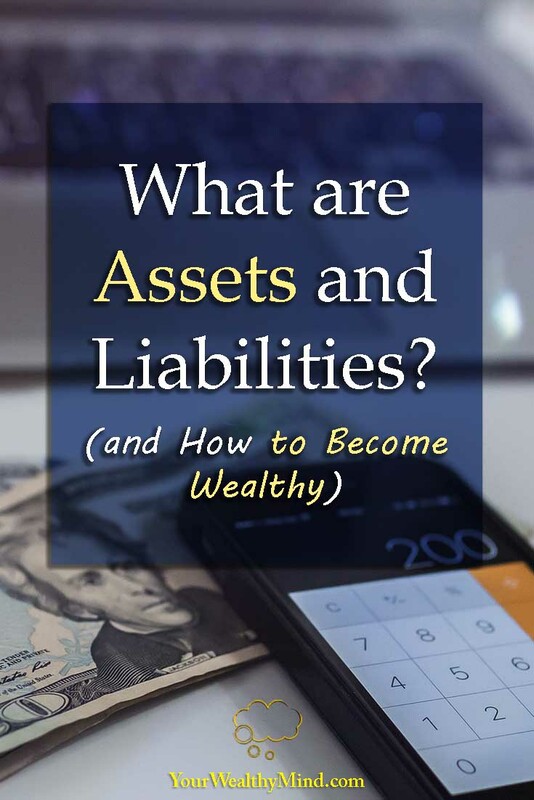 So What are Assets and What are Liabilities? Let’s start with the technical definitions of assets and liabilities. An asset, according to webster, is an “advantage, resource” or “an item of value owned”. On investopedia, “an asset is a resource with economic value that an individual, corporation or country owns or controls with the expectation that it will provide future benefit.” An asset is something useful. It can make money or reduce expenses. On the other hand, a liability is “one that acts as a disadvantage”, “something for which one is liable”, or a debt, according to webster. In investopedia, a liability is “is a company’s financial debt or obligations that arise during the course of its business operations.” A liability is a debt or a disadvantage. Usually obtaining liabilities is a natural part of business, like taking out a bank loan to pay for things that can expand your business. In short, an asset is something valuable, while a liability is a debt that, financially, may or may NOT be good depending on how it’s used. Robert Kiyosaki uses the terms differently though. To him, an asset makes money and makes you richer. A liability takes money away and makes you poorer. In order to grow wealthy, Kiyosaki recommends that you must learn to buy or invest in assets. Rich people acquire assets. The poor and the middle class acquire liabilities that they think are assets. The term assets usually include stuff like stocks, bonds, real estate, mutual funds, businesses, valuable stuff you can sell, among other things. A great company’s stock that grows in value over time and gives dividends, a piece of land or real estate that grew in value or one you built a popular rental property on, a great mutual fund that increases in value because it’s run by excellent managers, a business that consistently generates profit, an original antique you bought at a discount that you later sold at a higher price in an auction. Those are good examples of assets. Again, while stuff like stocks, bonds, real estate, mutual funds, businesses and other things are technically called “assets”, not all of them are ACTUALLY assets that grow in value. Remember, Kiyosaki said that assets that MAKE money… So what do you call that “hot” new stock you bought but the value crashed because the company was actually terrible? What about those stocks and Forex currency pairs you kept trading but you always made wrong calls and you lost money? What about that cool new mutual fund your friend kept recommending but its market value crashed when the hype died? What do you call that piece of land you bought for a high price, but you couldn’t rent it out and you had to sell it at a loss because it was located in a bad neighborhood and the area was also prone to flooding? What about that awesome “investment” you bought that was actually a ponzi scheme/pyramid scam? Those are definitely NOT assets. They’re liabilities. Remember, assets make money, liabilities lose money. That is what Kiyosaki meant by “Rich people acquire assets. The poor and the middle class acquire liabilities that they think are assets.” What are other examples of liabilities? You spend money to buy clothing and they lose value as they age. Most clothes are liabilities. You spend money to buy a cellphone, it loses value because newer and better models are released, and it uses up money due to electricity and phone bills. A phone is a liability. You spend lots of money to buy a car, it loses value due to depreciation, and you spend more money on it because of gas, maintenance, repairs, and parking. A car is a liability. It should be pretty obvious that most of what we buy are liabilities. If we keep spending money on them, we lose more and more money over time. Long ago I remember watching a shampoo or beauty product advertisement that said you should “invest” in your hair by buying their product. It’s as if buying and using their product will somehow make more money for you. (Hint: It wont.) That’s not an “investment”. That’s just false advertising. When people talk about expensive or high quality products, they usually recommend starting with cheaper brands, and then you start “investing” on higher-quality ones. I don’t agree with that as I don’t use the term “investment” lightly. An “investment” should be something that makes you money after all. I do agree that spending money on things you enjoy is fine… but only to a certain point. You must not waste ALL of your earnings on things that won’t benefit you in the long run. You need to remember that the more money you waste on things, the worse off you’ll be financially. Is buying a million dollar car an investment when a ten thousand dollar one looks and works just as well? Is buying a million dollar watch an investment when a hundred dollar one looks just as good and works better? Is spending a million dollars on a high thread-count suit an investment when you can still close deals on a hundred-dollar one? And that point, by the way, is the conclusion of The Millionaire Next Door book by Stanley and Danko. Read it to discover one of the greatest “secret” of actual millionaires. Don’t make the mistake of justifying overspending on expensive luxuries as an “investment”. If that expensive item doesn’t improve your income or the quality of your life as a whole, then it’s just another liability. Again, the rich buy ACTUAL assets. Everyone else, on the other hand, waste money buying too many liabilities that they think are assets. A piece of clothing is a liability… unless you manage to sell it at a higher price somehow or it improves your work output (imagine accessory vests of professional photographers, or miners’ safety gear). A phone is a liability… unless you use it every day to call clients and close sales. A car is a liability… unless you’re a taxi driver and you use it to make money. A computer is a liability… unless you use it for an online business like a store or a blog. A piece of furniture is a liability… unless it’s an antique and you are able to sell it at a higher price. A drawing tablet and a photoshop subscription are liabilities… unless you use it to earn money as an artist or illustrator online (like me). You probably understood the lesson by now. Unless it makes money for you, it’s a piece of equipment you need for work, or it’s something you sell for a profit, then it’s almost always a liability. The rich learned what assets are, and they learned to keep buying assets and investments that make more money. As they keep buying assets, they earn more and they use some of that money to buy more assets in order earn even MORE money. It all adds up over time and that’s how people get richer. If we want to become more financially successful, we have to do what wealthy people do. 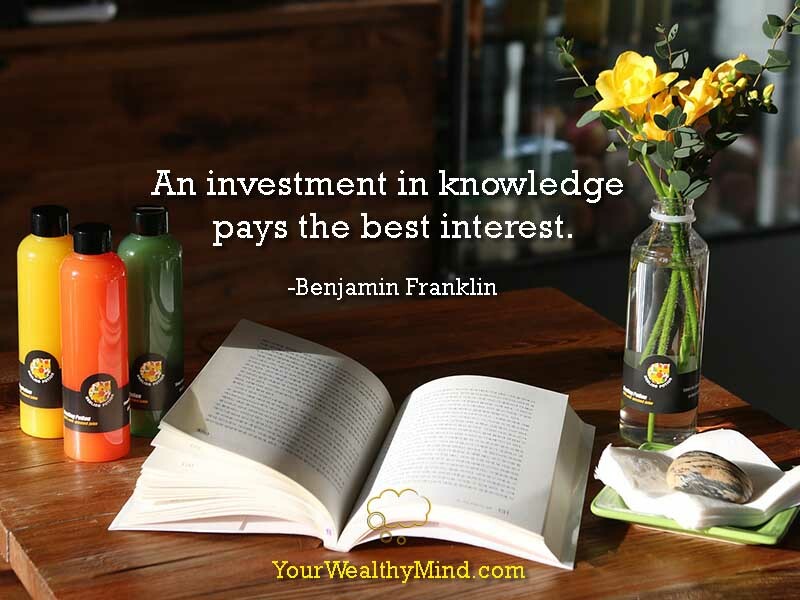 We have to learn what assets are and buy or invest our money in them! Just remember though, we have to learn how to buy ACTUAL assets, not liabilities that we wrongly think are assets (like bad company stock or bad investments). How can we do that? How do we differentiate between the two? We simply have to learn what wealthy professionals and experts do and apply it ourselves. Many of them have written books and articles about the things they learned and experienced after all. Just take a look at the business and investing sections of your local library or bookstore. I have one more question for you, by the way. What do you call a $10 book that can teach you how to earn thousands or millions of dollars or more over time? Think about that for a moment. Now think, when was the last time you read a personal finance, investing, career, business, or self-improvement book?